You won’t always know what to do next. Keep experimenting, and you’ll master it. In a way I suppose this is at least thematically appropriate. With these four short sentences Cultist Simulator managed to instill a feeling of nameless dread before I’d even gotten into the game proper. 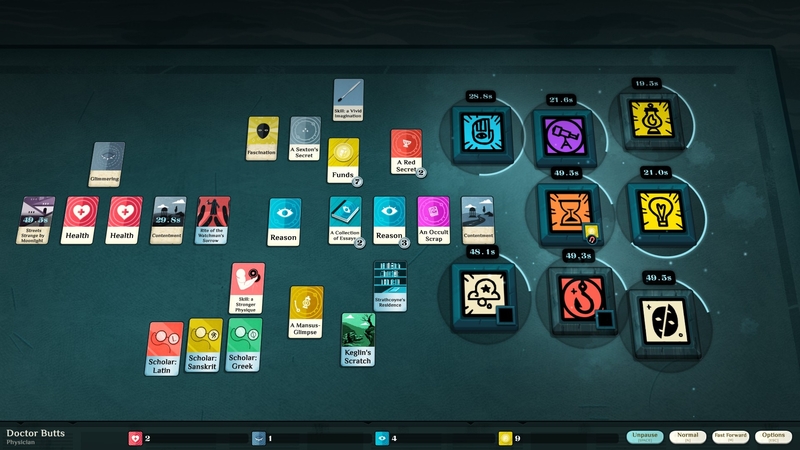 Unfortunately it wasn’t the dread of eldritch abominations or unspeakable nightmares, the sort of thing which a game called Cultist Simulator might choose to make its stock in trade. Instead I was assailed with a dire premonition that I was, once again, about to embark upon an unpleasant journey into the waking nightmare that is the Trash Game Dimension.